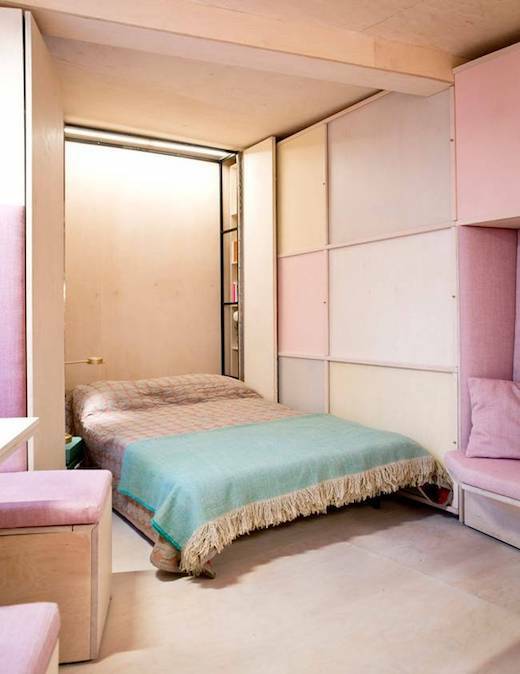 But the current state of the market is such that city dwellings are very expensive, and more and more people who do not want to move to the country are opting to live in micro apartments. 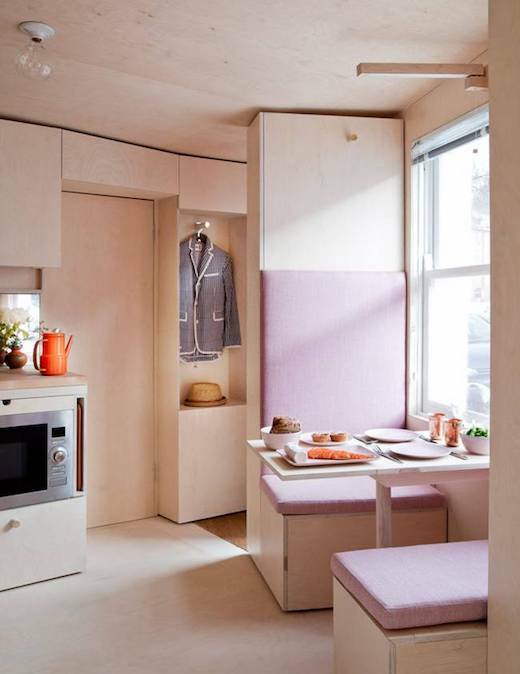 When designing such spaces, maximizing the available space is of the utmost importance, and the Danish firm Studiomama did an awesome job in that regard with this former mini-cab office, which they turned into a cozy home. The space was bought at an auction and measures 139 sq ft (13 sq m). 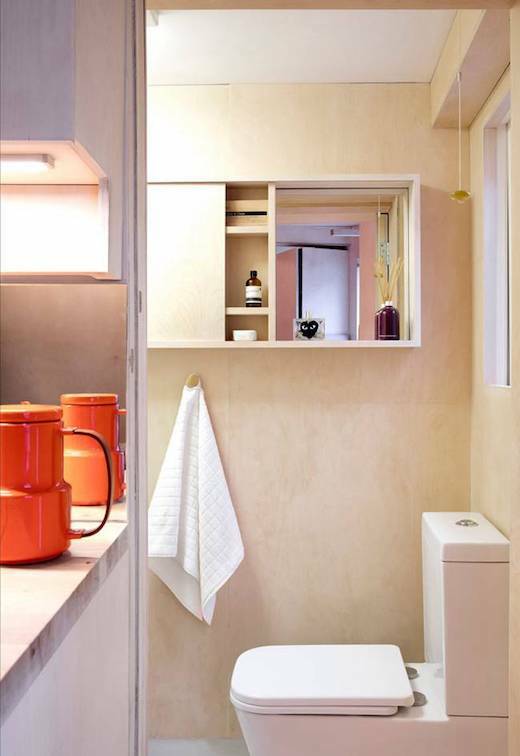 The designers then set out to turn it into an apartment with the aim of proving that with clever solutions even such a small space can become a comfortable home. 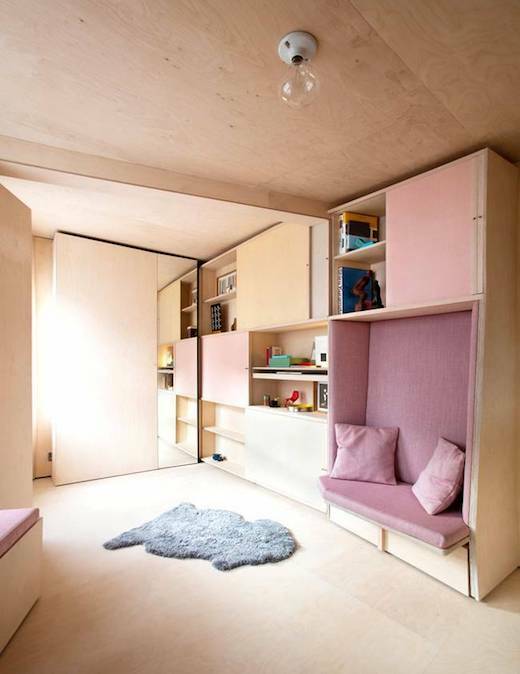 The achieved this by installing seamless walls which hide the storage areas, and give the sense of spaciousness. They were inspired by boat design in coming up with this solution. They also placed mirrors along one of the walls, as well as in the kitchen, which further adds to the illusion of this being a larger space than it actually is. 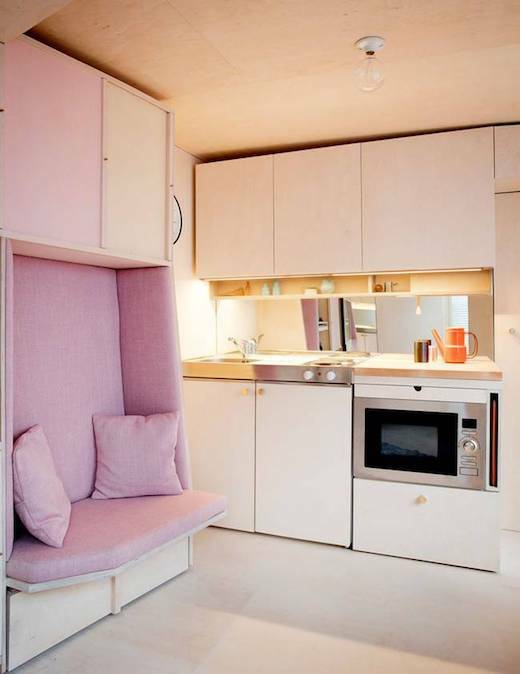 Since this apartment has so little floorspace they integrated all that was needed into the built-in furniture. The home features a dining nook with a built-in bench to sit on, while this bench can also be extended to increase the sitting space. The bench also has a footrest built into it, which can be stored away when not in use. The bed can also be folded away when not in use. 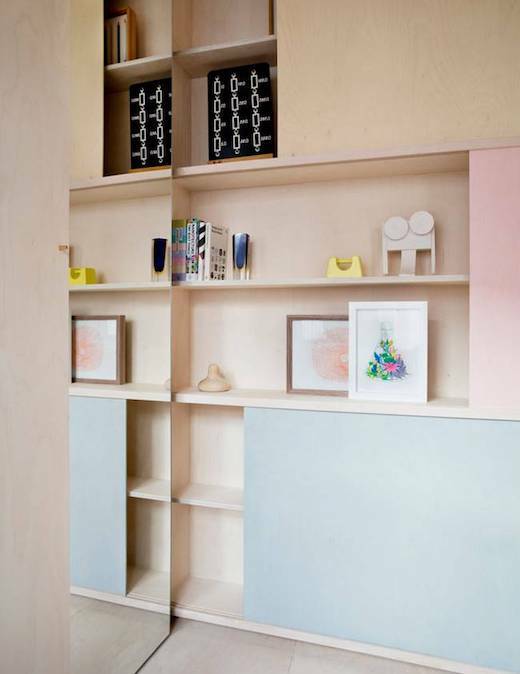 The home also features a work area in the form of a standing desk, which has it’s own storage area. I suppose the dining table can be used if you wish to sit while working. The home also features a fully equipped kitchen and a bathroom, which is the only part of this home that is separated off from the rest of the apartment for privacy.